Air Conditioning Service - AutoSys Inc. Along with the refrigerant, a special oil circulates in the system. The oil lubricates air conditioning components, and keeps the seals resilient. Low refrigerant and lubricating oil means that the air conditioning parts will wear out prematurely, and we all know that air conditioning repairs can be costly in and around the Northwest Washington area. Air conditioning service at our shop in Redmond, WA starts with a visual inspection of the components for signs of damage or leaks. The compressor is driven by a belt from the engine, most often the serpentine belt, so it’s inspected for cracks or wear. 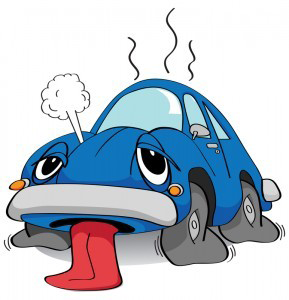 Today’s vehicle a/c systems can lose 5% of their refrigerant per year causing the system to become inefficient. Another thing to remember is the a/c system is used all year long; every time the defroster is used the a/c system is activated to assist in removing the moisture from inside the vehicle which can defog windows much faster than non a/c equipped vehicles. It is recommended that modern a/c systems be tested annually to assure peak performance. Schedule an appointment with one of our factory trained professionals and let us make sure you’re a/c system is running efficiently. 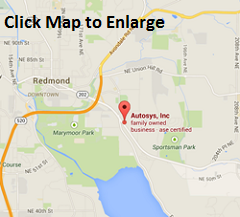 At Autosys, inc. of Redmond WA., we have the latest equipment available to diagnose the computerized components, as well as to service all the different systems including the newer systems on hybrid and electric vehicles.